Blake John Warner, an adored husband, father, son and brother, passed away on April 2, 2019 at the young age of 31. He was born on November 5, 1987 in Modesto, California to Cathy Ballantyne and John Warner. Blake’s sister Cassie was born the following year and they were as close as twins doing just about everything together. He married the love of his life, Kanchana in July of 2011. While he was an avid fisherman, and outdoorsman, Blake’s real and abiding passions were his daughter Makyla, 6 and his son Myles, 5. Blake sought to instill in his children a zest for life, a commitment to the gospel, and the importance of hard work. He loved to dress up with his kids for Halloween as well as just for fun. Blake moved to Colorado in 1996 when his mom, Cathy, married Bill. Blake spent his early life in Loveland, Colorado where he both enjoyed and excelled at playing football, track and field, soccer, water skiing and snow skiing. After graduating from Thompson Valley High School in 2006, he served a full time mission for the Church of Jesus Christ of Latter-day Saints in Argentina. 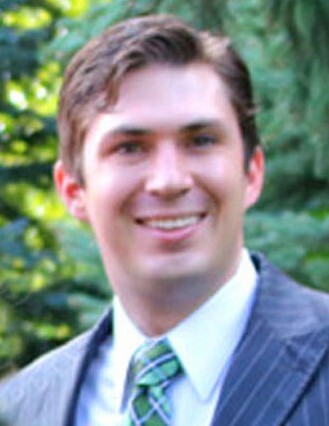 He attended Colorado University and Colorado State University where he earned a Bachelor’s Degree in Accounting. After college, Blake continued his life as a serial entrepreneur. He loved the thrill of closing a deal, getting a sale, and creating something larger than himself. Blake will be remembered for his quick wit, quirky sense of humor, infectious laugh, on-going pranks, caring nature, and the way he adored his beloved wife, children, and entire family. He is survived by his wife-Kanchana, daughter-Makyla, son- Myles, mother- Catherine Conrad, father- Bill Conrad; sister-Cassandra (Jason) Jones, Dayne, Drew, and Jillian Conrad, grandfather- Jack Ballantyne (Carlita) grandmother- Noel Warner, Aunt Connie, Uncle John, (Jenny), along with many cousins, nephews and nieces. A memorial service will be held for Blake on Saturday, April 6, 2019 at 11:00 A.M. at the Crescent 12th Ward Chapel, 89 East 11000 South, Sandy, Utah 84070. We love you so much Blake until we meet again.